Toru Iwatani, an employee of Namco, wanted to create a game that was accepted by a wide range of audiences. He came up with Pakku-Man as the name of his creation after 18 months of labor. The name Pakku was from the Japanese phrase pakku-pakku which means the sound the mouth makes when opening and closing. The shape of Pac-man was once believed to be inspired by a pizza missing a slice yet that is only partially true. Iwatani, in an interview, said that the shape actually came from simplifying and rounding out the Japanese character for the word kutchi which means "mouth". The original completed version of Pac-Man was actually called Puck Man in its completed state. The first launch of Puck Man in Japan received a lukewarm response. Plenty of competition abounded in the video game creation world. Space Invaders was one of the top video games being played in the early 1980’s in arcades everywhere. Although Iwatani’s invention was good it was not great and the name Puck Man just did not catch on. Bally, a division of Midway, picked up Puck Man altered the title to Pac-Man and brought it to the United States. American’s were very welcoming to the change that Pac-Man brought to the arcade scene. It was the perfect break away from games like Space Invaders and it had humor which no other game had before. American audiences grew to love the giant yellow circled called Pac-Man. He was released to the United States audiences in 1980 and they loved him. Pac-Man became the best seller for video games and had television cartoons, theme parks dedicate play areas and music made for him. Pac-Man was a phenomenon and sensation that grew and evolved for the past 2 decades. The game was such a success that it also made it into the Guinness Book of World Records. Awards for "Largest Pac-Man Game", "Most Successful Coin-Operated Game" and also "First Perfect Pac-Man Game" were issued from Guinness. Pac-Man video games can still be found in arcades but the original may not be there. Ms. Pac-Man came onto the scene with the evolution of the Pac-Man phenomenon. However you can find Pac-Man games for old Atari systems, Playstation consoles, Gamecube consoles and other Nintendo consoles including Gameboy and Gameboy Advance. Some spin-off games associated with Pac-Man include Ms. Pac-Man, Pac-Man Plus, Baby Pac-Man and Professor Pac-Man. Newer Pac-Man games get updated and changed to fit new video game consoles as they emerge. 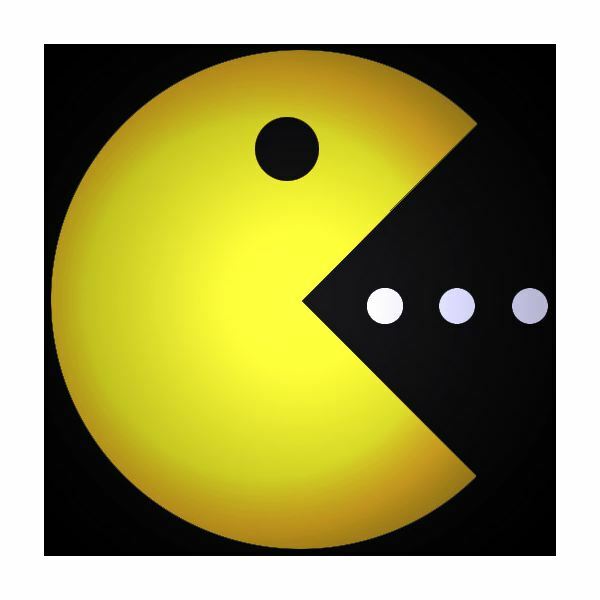 Pac-Man Fever, Pac World 1 & 2 and also Pac Mania are all video games that evolved from the original giant yellow dot.